Keep your money in your local area by supporting your neighbors' shop. 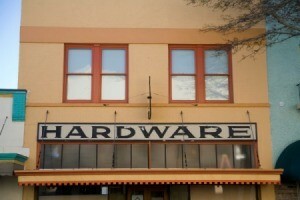 This is a guide about shopping at locally owned hardware stores. Prices are usually cheaper at the big box hardware stores but that doesn't mean they save you money. One of the most valuable services any hardware store can offer is advice. Every year, it seems to get more and more difficult to find someone who knows what they are talking about at the big box hardware stores. Getting the right tools and supplies the first time will save you time and money when working on a home improvement project. 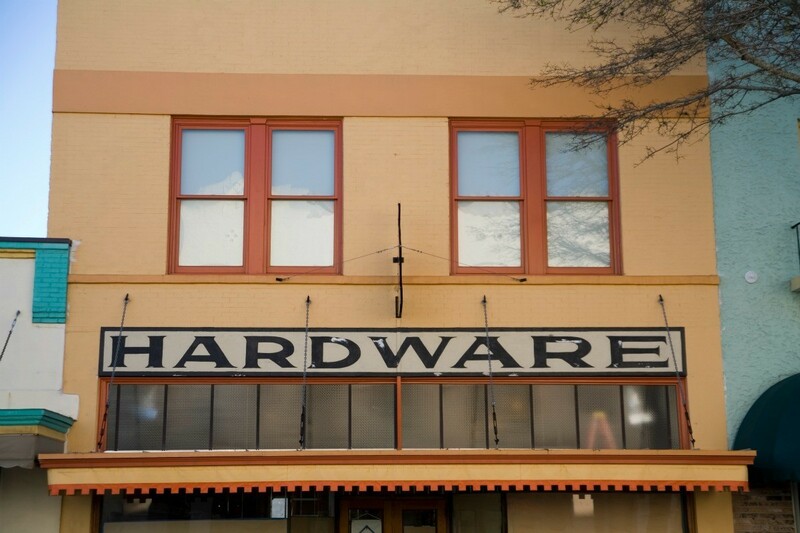 If you are lucky enough to have a quality "Mom and Pop" or locally owned hardware store in your town with experienced staff, be sure to take advantage of it. I love these stores as they seem to have the things I need and as I already know they can order what they don't have if I do need it. They do tend to put more into the customer service and offer advice. I have had a dolley to break apart and I went to True Value Store - Privately owned. I made my purchase there and they were very apt. to receive my business in the future. Yes, I will drive a little ways for this but I will be glad to. My experience was they did not have the exact part I needed but were very inventive that they were able to find other alternatives and even fixed it for me on the spot without extra charge to me or my asking they asked me if I would like for their assistance without charge. They did this with good spirit. They were really helpful. I have been to big stores many times over and have not ever had an experience like this. Oh, I did offer a tip but was politely refused to except. Was I a happy customer or what? If you ever do need something take a moment to check these folks (ma and pops / privately owned) out and see if they have what you need and see for yourself just how hard they work at making customers proud they shopped there. Look at the variety they offer and some of the hard to find items like outdated stuff that are still treasures are usually found in these places and can't be found in the bigger more modern stores since they are not in style. Mind you, the style changes too quickly and no one needs to change everything they own to be in style to be happy in life and to stay in their budget or to keep things running properly. THIS IS TRUE. I WORK IN A SMALL TOWN HARDWARE STORE AND HAVE BEEN TOLD ON SEVERAL OCCASIONS IT IS NICE NOT TO HAVE DRIVE TO THE BIG TOWNS TO MAKE A PURCHASE.WHETHER IT BE A BIG OR SMALL PURCHASE. AND THAT OUR STORE IS A LOT MORE FRIENDLIER THAN THE BIG STORES.NOW THAT MAY BE JUST US...I DON'T KNOW.BUT A LOT OF STORES CAN ALSO ORDER STUFF FOR YOU IF THEY DON'T HAVE IT IN STOCK. Yes!! My husband sometimes drives 15 miles to a mop & pop hardware store where the customer service is great. The salesmen greet you at the door and take you to what you need. He says it's worth the extra money to find people who know the product and how to do repairs, etc. I'd like to know how to find one! Any suggestions on that?